Sometimes it's the little things. A plumbing fitting for example. Especially a plumbing fitting that doesn't exist (until now). In this case, an adapter to allow a fuel pressure regulator to be mounted directly on the stock fuel filter. M12x1.25 to -6AN O-ring adapter. Viton O-ring and aluminum crush washer included. 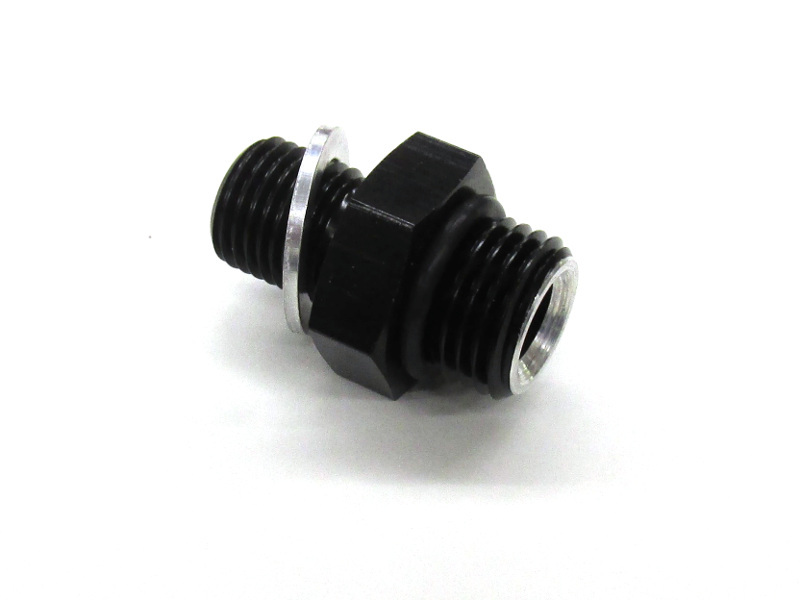 This eliminates the need for mounting the regulator, eliminates one adapter fitting, and eliminates one piece of hose and two hose ends. Ideal for 2GR-FE or other V6 swaps where the motor requires a return-less fuel system with static fuel pressure, but could easily be used on a turbo setup as well. 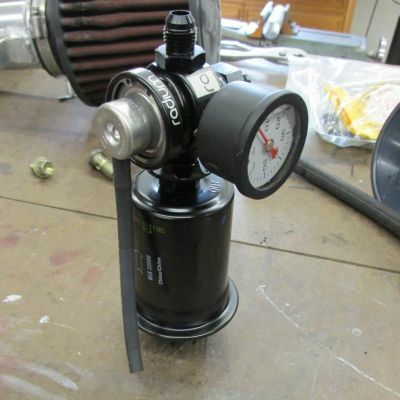 In that case a vacuum line for the regulator pressure reference would be needed, as well as converting the fuel system to a dead-head setup. I used this fitting with a Radium regulator housing and Bosch OEM regulator as shown below, but it could also be used to mount other small adjustable FPR's as well. 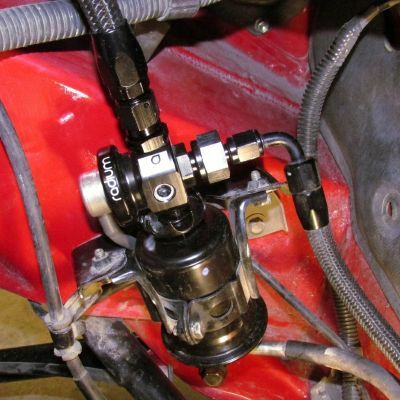 The "teeth" on the top of the fuel filter may need to be bent in slightly to allow the regulator to screw on. The filter and part of it's bracket will need to be removed to install the regulator, and the filter may need to be re-clocked in the bracket to achieve the desired regulator orientation.